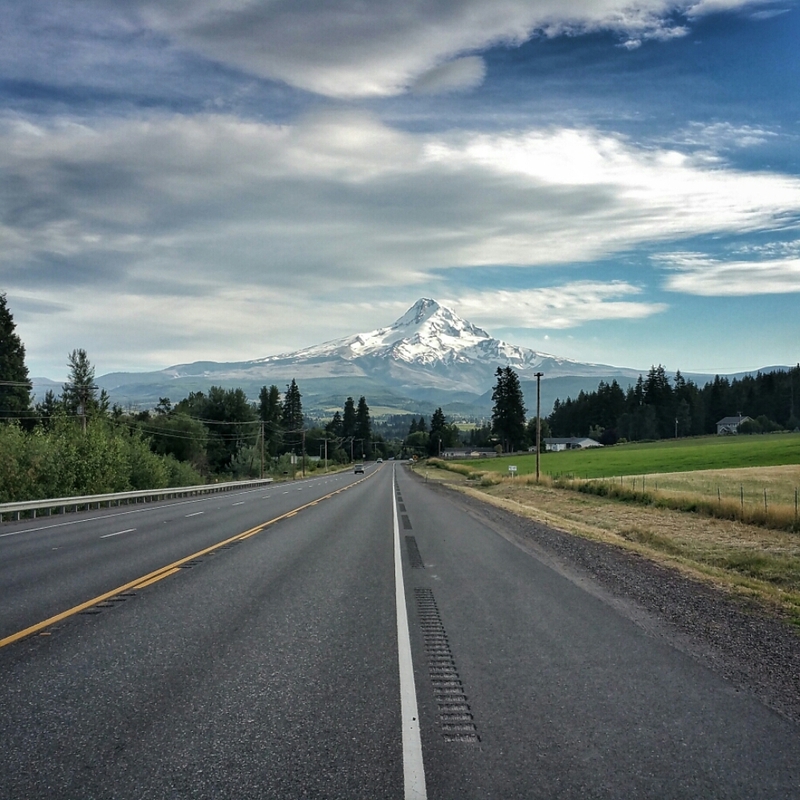 Evening before/morning after, looking at Mount Hood from the northwest, along Highway 35. 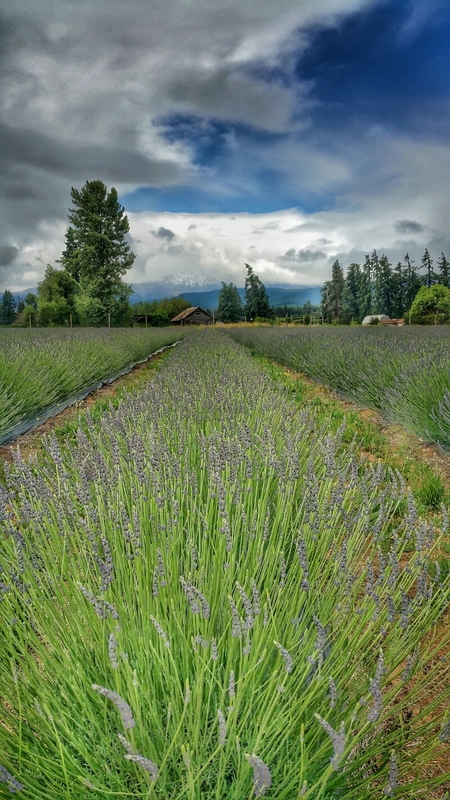 The bottom view, with Hood in the clouds as the rain began to gather to the west, is from the fields of Lavender Valley. Unfortunately, we were a few weeks early for the full lavender bloom.